The LITTLE LANGE 1 "25th Anniversary" presented in March is the third of 10 models in this year's anniversary collection to mark the 25th jubilee of the LANGE 1. Limited to 25 pieces in white gold, the watch features a blue-printed argenté dial and blued hands. Price: 35.500 €* *Recommended retail price in Germany including VAT. Non-binding quotation, prices subject to change. The LANGE 1 is the result of a bold new beginning. It combines tradition and innovation and is regarded as the epitome of Lange watchmaking artistry. The Lange outsize date displays the date about three times larger than watches with comparable dimensions. It kicks off the “25th Anniversary” white-gold edition. 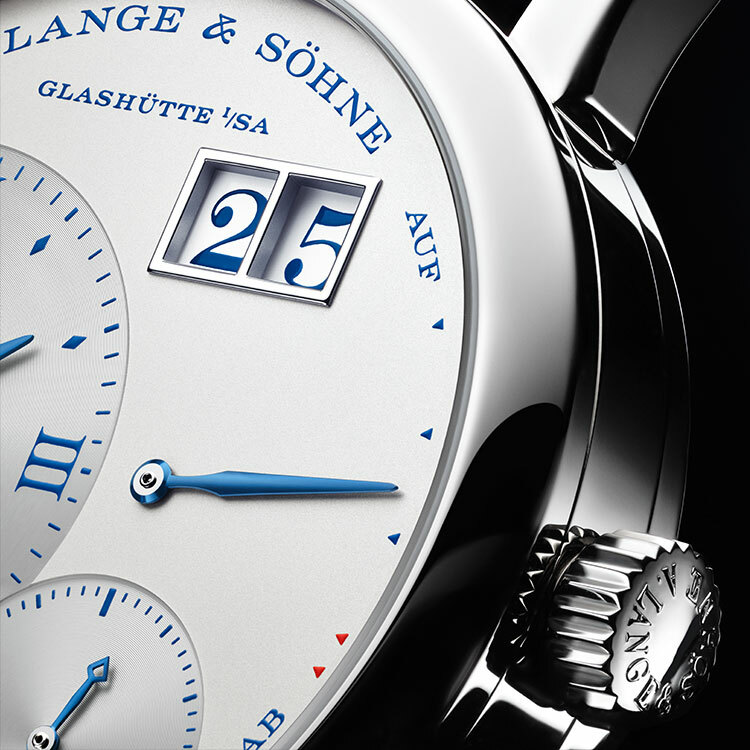 Overall, it comprises 10 models that are dedicated to the key milestones of the LANGE 1 timepiece family.